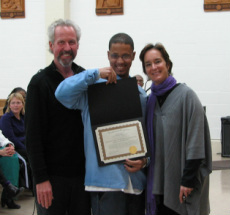 IPP’s programs focus on a socialization process, a process of transformational re-education that is designed to bring about a shift in ingrained patterns of harmful and destructive behavior, enable incarcerated people to make life-enhancing choices, and then integrate them into lasting, positive behavior. IPP pushes cognitive behavioral work beyond an isolated mental process and invites participants in our programs to integrate cognitive learning with an awareness of how thoughts, impulses and actions manifest physically and emotionally. A pioneer in the field of Restorative Justice, IPP offers VOEG as a cornerstone program that positively affects rates of institutional violence, successful reentry into communities, and individual health and well-being. Ours is a rare application supported by crime victims, incarcerated people, and community volunteers, which is wholly relevant as a response to our statewide prison healthcare crisis and to the personal mental health needs of prisoners, parolees, and crime survivors. Each group is facilitated by an IPP staff member or highly trained volunteer, as well as an prisoner peer facilitator. VOEG is an intensive 18-month group program for incarcerated people who wish to understand themselves better, how their life experiences and decisions led them to prison and how their crimes have impacted their victim(s). The purpose of the training is to help incarcerated people understand and take responsibility for the impact of the crime(s) they have committed. The class culminates with participants meeting with victims for a healing dialogue. The Victim Offender Education Group (VOEG) program supports incarcerated individuals in the process of understanding and developing insight into the underlying circumstances of their lives and the choices that led them to prison. The process utilizes a Restorative Justice philosophy to help individuals to address memories and feelings connected to traumatic and unresolved events in their lives in an effort to integrate these experiences into their lives and experience a renewed sense of wholeness, authenticity, emotional well being, and positive behavior. Specifically, the VOEG process recognizes that many incarcerated individuals have experienced unresolved traumatic events in their early lives which have contributed to their offending behaviors. The facilitators work to help identify and repair as much as possible the trauma by creating an environment of trust, safety, inclusiveness, acceptance and compassion, where issues of abuse, loss, thinking errors and transference can be acknowledged and addressed. We have found that in this environment, participants in the VOEG process are often able to self‐identify patterns of negative behaviors and begin to replace them with healthier ways of thinking and behaving. The VOEG model encompasses an initial 52+ week intensive program, which is followed by an advanced program called the NEXT STEP, where incarcerated people commit to participating in another one year curriculum, applying and integrating the tools they have learned. 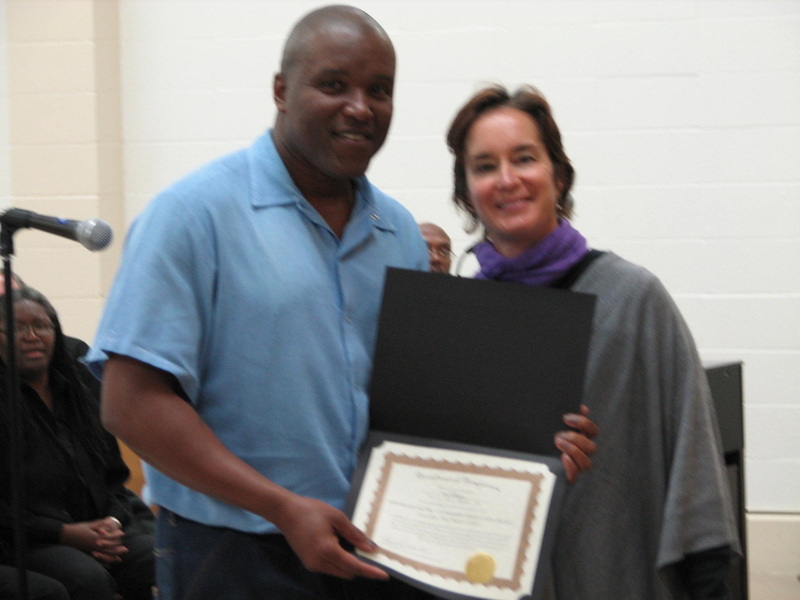 Graduates of the NEXT STEP are considered “Stewards” of the VOEG program and are encouraged to initiate ways of giving back to their prison community. Currently at San Quentin, the Stewards run a successful program for Reception Center prisoners, introducing them to the principles and practices of the Restorative Justice circle process, the concept of personal accountability and understanding the impact of their actions. Interested in becoming a VOEG facilitator? IPP is offering our multi-phase Facilitator Training, based on our Restorative Justice Victim Offender Education Group (VOEG) model of group facilitation successfully started at San Quentin State Prison. Click here to learn more.